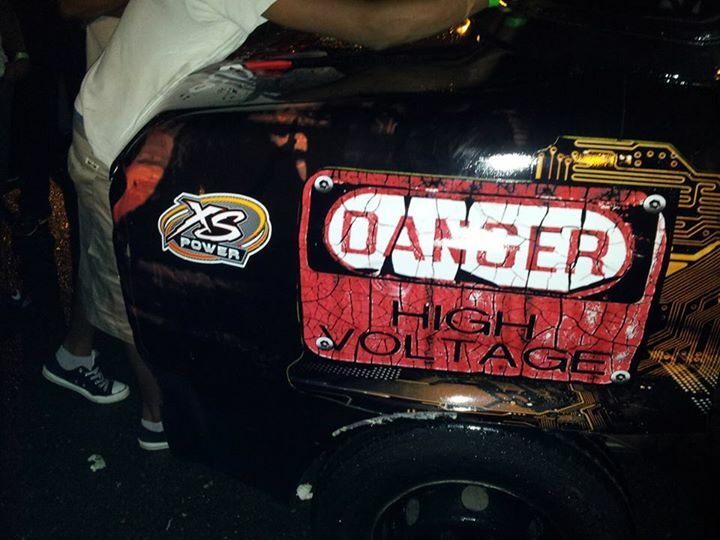 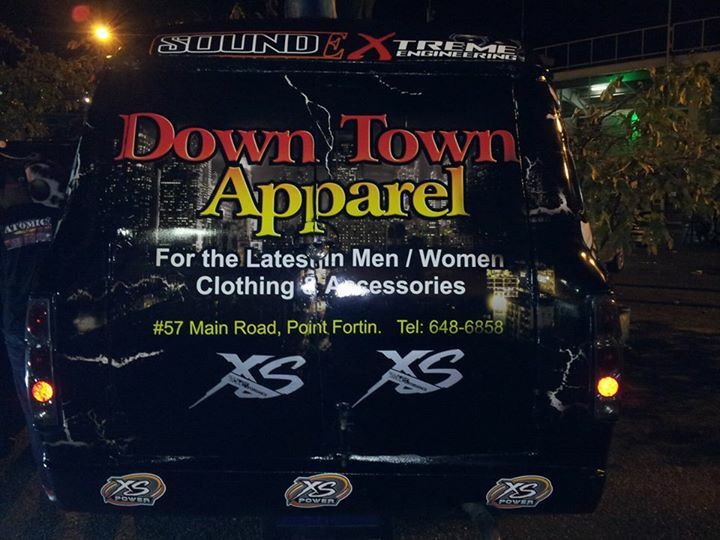 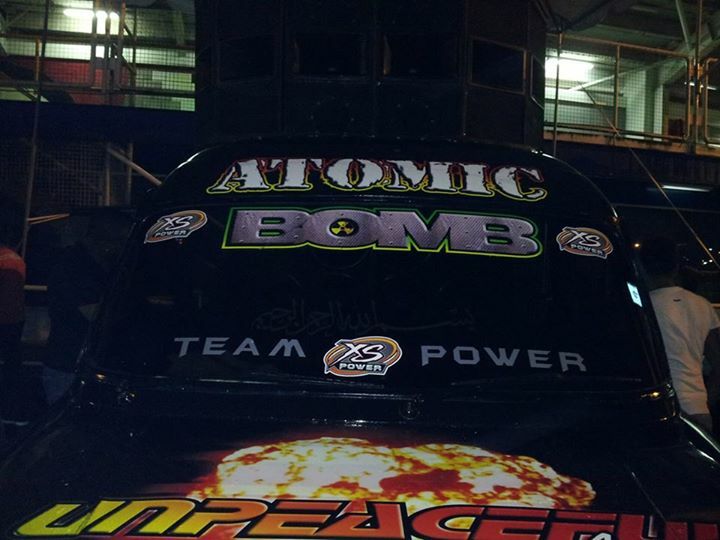 Team XS Power Trinidad- Atomic Bomb — Debe, Trinidad And Tobago . 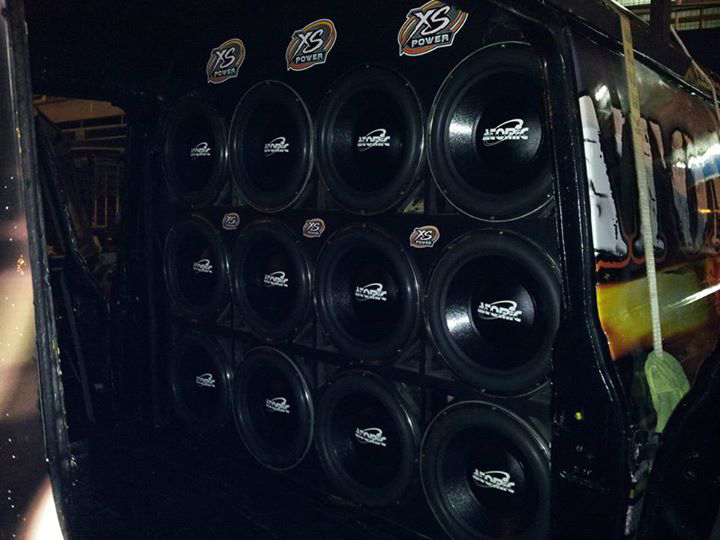 8 RCF 8″ Speakers and RCF Drivers. 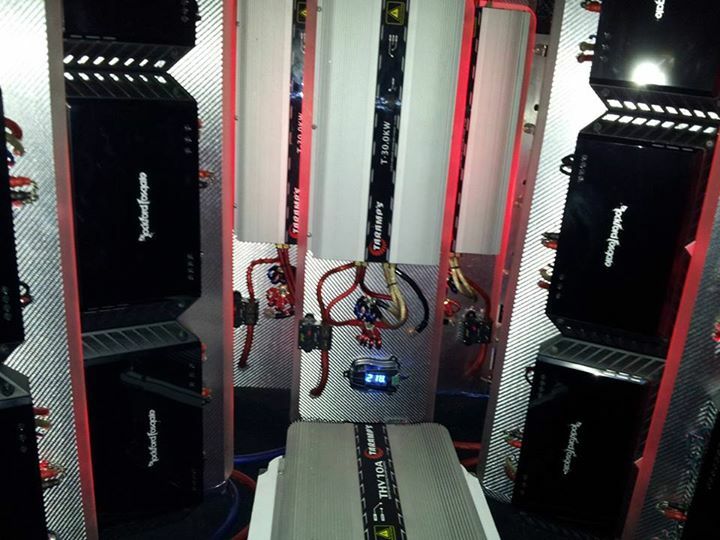 The interesting thing about this system is that the Battery bank for the Bass amplifiers are wired in Series. 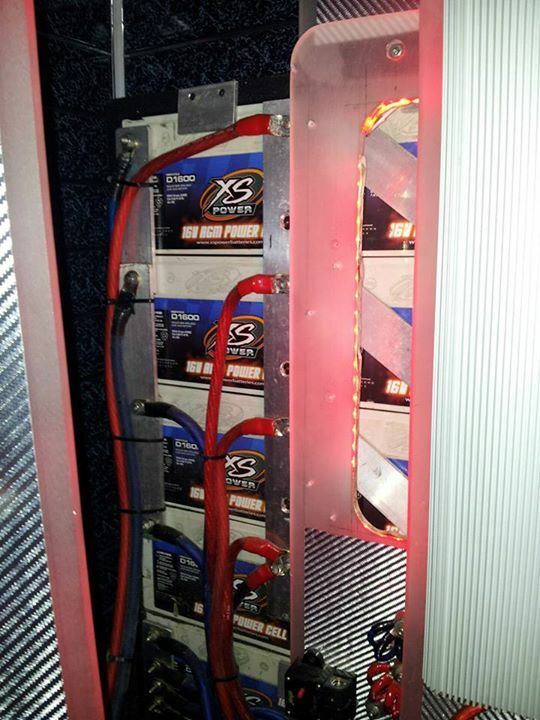 So the voltage of this bank is approximately 220 Volts! 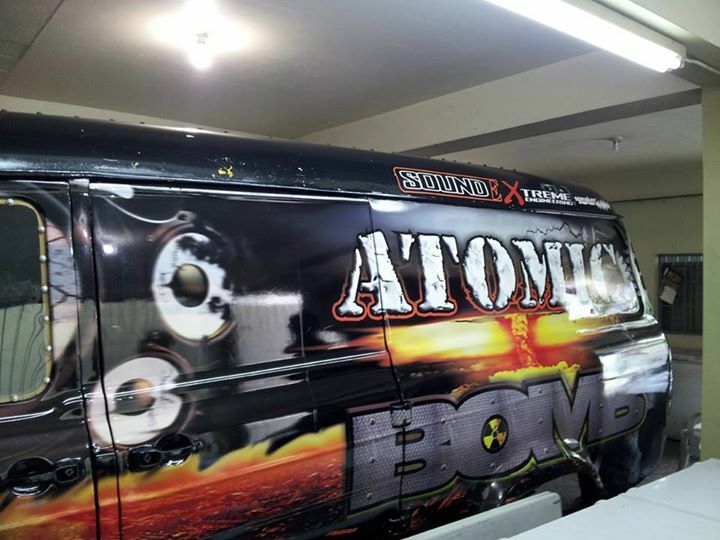 Claimed to be one of the loudest music vehicles in the world..